You shouldn’t lose customers who are in a hurry or who are hesitating to buy your products. Allow them to browse in their own pace and give them the possibility to save the content of their cart and purchase later. This app lets them subscribe with their email addresses and receive an email with the link where they can finish the order. 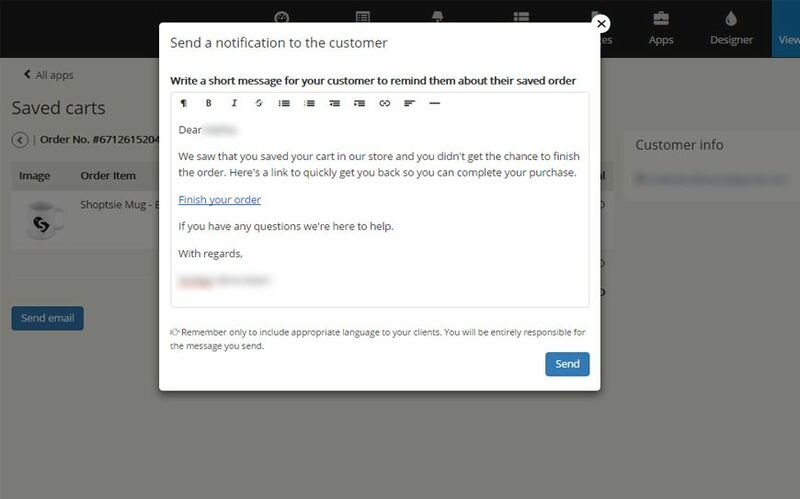 You can also send them a reminder email if they fail to finish the order after a certain time. Accessing the app you will get a list of all saved carts. 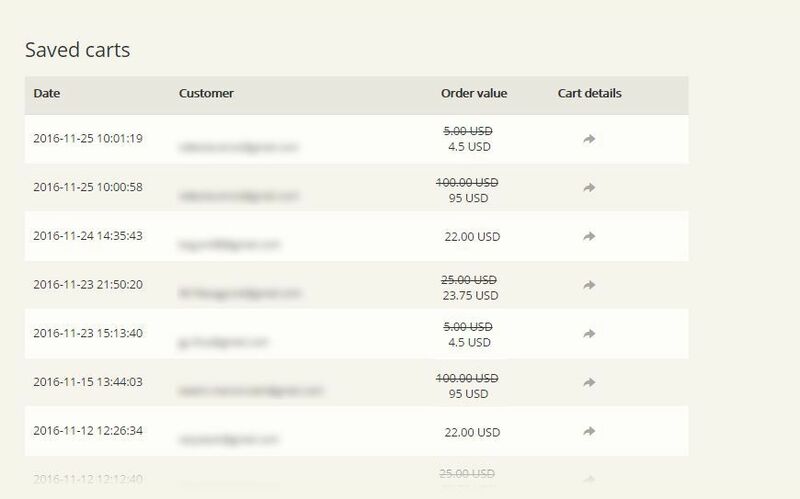 Click the name of the customer to see the details of the order and to send the reminder email. Remember only to include appropriate language to your clients. You will be entirely responsible for the message you send.